McKee’s 37 All In One Leather Lotion 128 oz. Truly is, All In One. 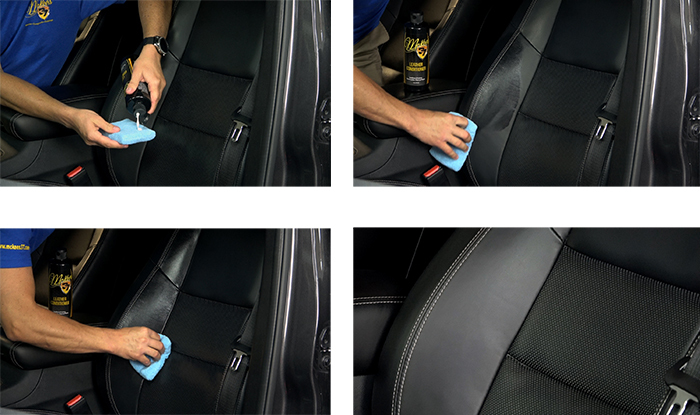 5 All In One Leather Lotion was the first product used on my new vehicle's leather. Wanted a product which would keep my leather and stitching from drying out and cracking. As the name states, it does it all in one product. Cleans, conditions, and protects. Look forward to having my vehicle and it's leather for 20 years or more! Pros:Easy to use and great smell.